Finding holiday books that aren’t too preachy is a hard task. It really is. So in my search for a good holiday book, I decided that I would read humorous books this year. I chose Holidays on Ice by David Sedaris and The Onion Presents: Christmas Exposed. 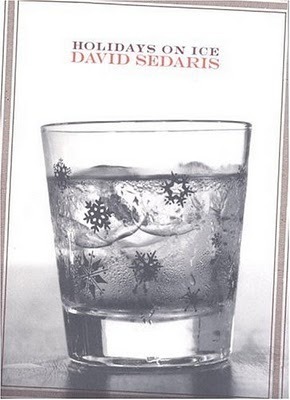 Holidays on Ice, a collection of new and previously published essays and short stories, is funny, but not nearly Sedaris’ best work. I found myself laughing at Santaland Diaries, which I’d never read before. Dinah the Christmas Whore and 6 to 8 Black Men had me nodding in recognition and laughing all over again. But other than those three, this just wasn’t the greatest collection of his work. I would imagine that someone as quirky as David would have some better holiday stories to tell. After all, I think the holidays are ripe with humorous opportunities, but this book just doesn’t show that. I will honestly say that I found it disappointing, which is really only because I have such high expectations for Sedaris. I wouldn’t recommend this book. Instead, I’d recommend Me Talk Pretty One Day or When You Are Engulfed in Flames. Do you have a favorite humorous book (holiday or other)? Do you have any funny holiday stories? This entry was posted in books, culture and tagged book reviews, Christmas reads, holiday reads, humor, humorous holiday season, winter reads. Bookmark the permalink.